Property Details: 2BR, 2.5BA Waterfront Home with 1200+ sq. ft.
Summer House West condominium home, Gulf Shores Alabama real estate sales. This West Corner Unit on Beautiful West Beach on Gulf Shores is absolutely like new with Stunning views that capture amazing evening sunsets from the spacious balcony. Experience a view down the beach that's captured inside with floor to ceiling windows making this condominium the perfect location in the building and on the beach. Upscale furnishings add a wonderful touch to the pleasantry of the interior with custom finished pieces and delightful coastal design. he kitchen offer upscale finishes with custom cabinets, granite counter tops and stainless steel appliances. This unit has never been a rental and is immaculate! 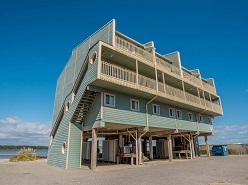 Come see this resort home at Summer House West Condos in Gulf Shores AL.